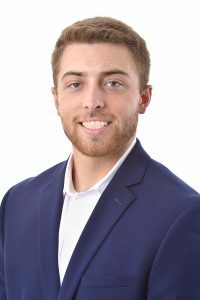 Kyle Gutowski joined Merlinos in 2017 as an actuarial analyst. He is new to the actuarial field after graduating from LaGrange College with a B.S. in Mathematics. He is currently pursuing a Fellowship designation from the Casualty Actuarial Society. His experience includes. Assisting with advanced geographical analysis and representation using mapping software. Assisting with initial and renewal funding studies for various captives and self-insured entities. Assisting with the development of reserve evaluations and estimates for various insurance companies, risk retention groups, and captives. Assisting with the development of actuarial reports and statements of opinion for various insurance companies, risk retention groups, and captives. Assisting in reviewing rate filings for various state departments of insurance, including experience reviewing NCCI loss cost filings for several states.